A corporation is a legal entity that gradually developed into its modern form over hundreds of years. It is designed to encourage investment into potentially profitable projects by limiting the economic liability of its investors. In the United States, corporations are formed and governed by the laws of individual states. To incorporate, the corporate founders, who are known as the “promoters,” must file articles of incorporation with the Secretary of State of the state in which the business seeks to incorporate. The articles list only basic information about the corporation: its name, the names of its promoters, the name and address of the registered agent authorized to receive official communications on behalf of the corporation, the names and addresses of the board of directors; the corporation's legal address, the number of ownership shares the corporation is authorized to issue, the nominal value of each share, and the corporation's business purpose. Filing fees vary by state but rarely exceed a few hundred dollars. The corporation need not do business in its state of incorporation. Shareholders transfer money and assets to the corporation through the purchase of corporate shares, which represent ownership stakes in the business. Although creditors may sue the corporation to collect their debts, individual shareholders generally cannot be sued. Consequently, shareholders risk only the amount they paid for their shares, even if the corporation declares bankruptcy and the value of its shares drops to zero. 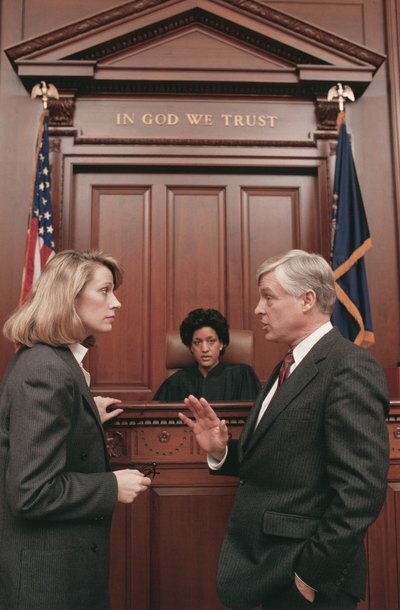 Occasionally, a court may "pierce the corporate veil" by allowing corporate creditors to sue shareholders in their individual capacity, which puts their private assets at risk. Piercing the corporate veil may occur when shareholders use the corporate form to defraud creditors, when they co-mingle corporate and personal assets, when they fail to provide the corporation with enough assets to meet its anticipated future liabilities, or when they fail to observe required corporate formalities such as appointing directors or keeping minutes of shareholders' meetings. Shareholders are a corporation's ultimate authority; however, day-to-day management is carried out by directors and officers. State laws require corporations to appoint a minimum number of directors. Directors then appoint a statutory minimum number of officers, such as a CEO and a CFO. Major corporate decisions require written resolutions issued by the directors or shareholders. Corporations are generally governed by a set of written bylaws that function as a corporate constitution. State laws do not require bylaws, and they need not be filed with state authorities. The sale of corporate shares is restricted by the U.S. Securities and Exchange Commission (SEC), and may be further restricted by corporate bylaws. To sell shares directly to the public, a corporation must register with the SEC, which is a time-consuming and expensive process. A corporation may sell shares to private investors if it complies with the SEC's Regulation D.
The Internal Revenue Service recognizes two types of corporations for income tax purposes: C corporations and S corporations. C corporations are taxed as independent entities at corporate tax rates. This income is taxed again – at the individual shareholder level – when the corporation releases dividends to shareholders. S corporations are not subject to income tax; instead, S corporation shareholders are taxed on corporate taxable income in proportion to their respective ownership stakes, regardless of whether or not the corporation distributes dividends. Although not every corporation qualifies for S corporation taxation status, most small businesses do. An S corporation is a corporation that is subject to special IRS taxation rules. Except for certain taxation issues, the procedure for dissolving an S corporation is the same as the procedure for dissolving any other corporation. However, this procedure varies depending on the state of incorporation. A business entity that wishes to become an S corporation must file Form 2553 with the IRS. However, before a business can submit this form, it must first qualify for S corporation status and must file articles of incorporation with the state to incorporate the business. An S corporation is a corporation that has been approved by the IRS to be taxed under Subchapter S of the Internal Revenue Code. An S corporation is typically not taxed as an entity. Instead, the IRS and many state governments tax shareholders of an S corp on their proportionate shares of the corporation's taxable income. This results in a net tax savings in many cases. To form an S corporation, you must form a corporation that complies with Subchapter S restrictions, and then elect S corporation taxation with the IRS.